The Cross of Sacrifice commemorates those who served in World War One. 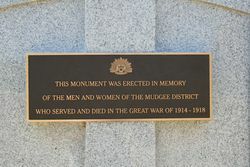 The Mid-Western Regional Council erected the memorial to replace an avenue of trees that had been planted in Horatio Street, Mudgee to honour soldiers from the Mudgee district who fought and died in the great war of 1914-1918. Those trees were removed after their condition deteriorated with age. 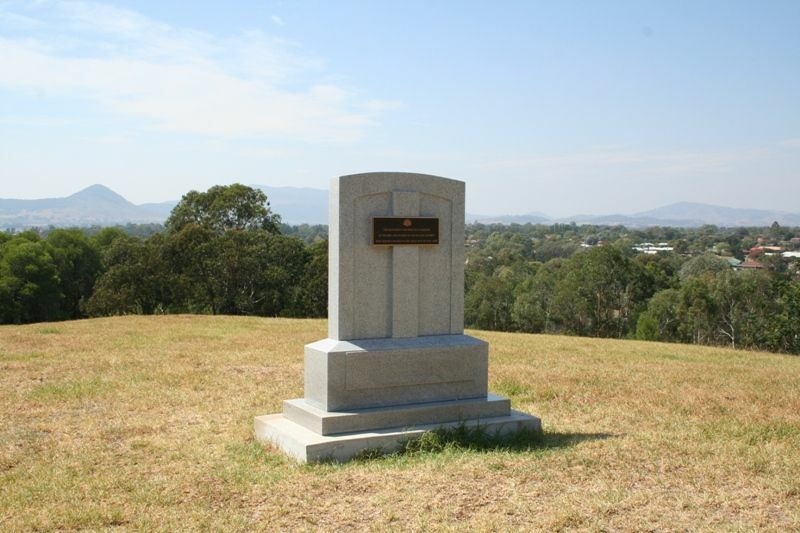 The trees were planted on the 24th August 1918. Although the weather was showery and cold, close upon 300 people accepted the invitation of the Cudgegong Council, and were present on Saturday afternoon at the planting of an avenue of trees in Horatio-street, leading from the town boundary to Sydney road. The avenue which is to be known as Memory Drive, is planted in remembrance of district soldiers who have fallen while on active service and of others serving abroad with the Australian forces. The Bathurst Times (NSW), 28 August 1918.